Gator Boosters, Inc. is the fundraising arm to the University Athletic Association. As a member of "The Team Behind the Teams," you are part of a membership that contributes approximately one-third of the program's operating budget. Your contributions help provide funding for athletic scholarships that pay the academic costs of our student-athletes for all 21 sports. Membership requires a minimum contribution of $100. Please refer to the various membership levels and associated benefits listed on our website. Your contribution pays for the annual athletic scholarship needs of Gator student-athletes for all (21) of our men's and women's sports. Your contribution also pays for the athletic facilities in which our student-athletes compete and train. The process to renew your football season tickets, or place an order for the first time, began January 7, 2019 and the deadline to order will be March 7, 2019. The opportunity to select, relocate, or upgrade your seats is based on the Gator Booster Loyalty Point System which will distribute an online appointment time to each Gator Booster, when they can go online and choose their seats through our "Virtual Venue" of Ben Hill Griffin Stadium. Boosters are ranked first by their contribution level (e.g. Bull Gator, Grand Gator, etc.) and then their total points within each level. Therefore, your chances for obtaining tickets, or upgrading into a more desired section, are increased when contributing at a higher level. Current season ticket holders may add seats to their existing account, as long as they fall within the contribution level limits and meet the minimum booster contribution requirements. Orders for additional seats are not guaranteed and will be filled based on availability using the Gator Booster Loyalty Point System. 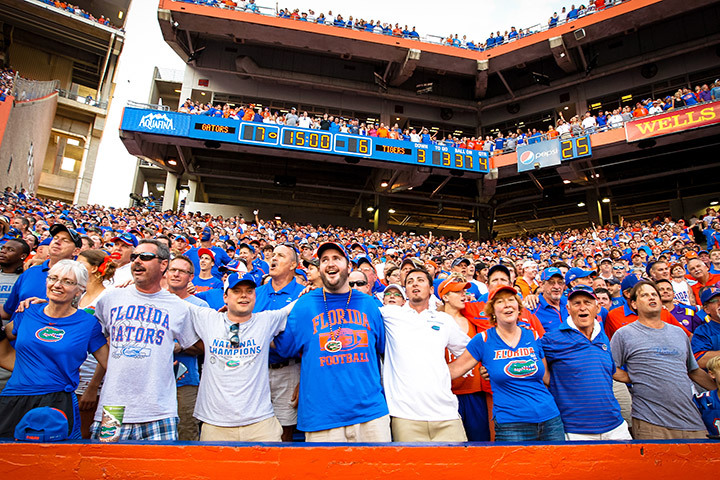 Gator Boosters may reclaim their seats each year if their ticket order is received and the contribution for his/her required contribution is paid by the renewal deadline. If you previously obtained seats or seat improvement through a specific contribution level (e.g. Scholarship Club), that contribution level must be maintained to reclaim the same seats each subsequent year. If you previously obtained parking or parking improvement through any contribution level, that contribution level must be maintained to reclaim parking from year to year. Gator Boosters, Inc. uses the Loyalty Point System to fairly allocate donor benefits. Donors receive points for each consecutive year of being a season ticket holder, as well as for the total cumulative ticket-related contributions that they have made. This system seeks to reward both a donor's longevity and gift amount when establishing donor priorities. Donor must have a Gator Booster Membership to apply points. **Any points received from dollars will always be associated with your membership. Points awarded for consecutive years as a season ticket holder will start over at zero should you not renew your season tickets. Total Points for Albert and Alberta Gator Gator is 1,050 POINTS! Gator Boosters uses the Loyalty Point System to prioritize between donors who are in the same contribution level when assigning seat assignment appointment times. These appointment times will be allocated beginning around April and based first in order of contribution level, and then by donor rank within that level. Thus, a $5,200 Scholarship Club member would be assigned before a $3,500 Scholarship Partner. If you are looking to relocate or upgrade your seats during your appointment time, our new online software through Virtual Venue will allow you to make your selection from home. Once obtained, the contribution level in which season tickets were acquired must be maintained in order to retain the specific location. If you obtain season tickets by becoming a Scholarship Partner ($3,500), then you must continue to contribute the minimum amount for the Scholarship Partner in future years. If you obtain season tickets by paying the minimum "Per Seat" value, then you must continue to contribute the minimum "Per Seat" for that section in future years. You can certainly choose to contribute at a lower level but your new seat assignment will be determined based on the Loyalty Point System. Ticket requests will be processed based on the Gator Booster Loyalty Point System. Please note that all requests are not guaranteed; the number of requests will be measured against the number of available tickets overall and at each price point to determine if any point cutoffs, additional limits or order reductions will need to take place. 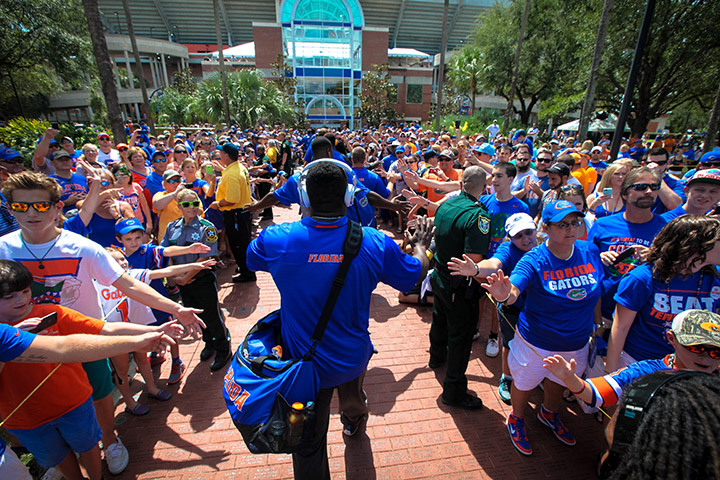 The Gators Ticket Office will make every effort to accommodate as many Season Ticket Holders as possible. Actual ticket locations are assigned strictly by rank, as established by the point system…regardless of contribution level. Tickets to our annual game in Jacksonville operate similar to home game tickets. Once you have tickets to this game, they are yours as long as you continue to renew at the contribution level in which you obtained them. Therefore, very few tickets come available each year. Those that do are due to the rare situation in which a current ticket holder decides not to renew, or mostly due to FL/GA tickets being non-transferable when a membership is transferred to one's child. Actual ticket locations are assigned strictly by rank, as established by the Loyalty Point System…regardless of contribution level. Once a point cutoff for a post-season game is determined by the Loyalty Point System, all season ticket holders below the cut line will automatically be entered into the lottery. Each booster’s probability of winning the lottery will be determined based solely on the booster’s football season ticket longevity and not by monetary contributions. All lottery winners will be notified from the Gator Ticket Office. There will be no need to contact either the Ticket Office or Gator Booster office. What is the Gator Boosters Program for Recent UF Grads? 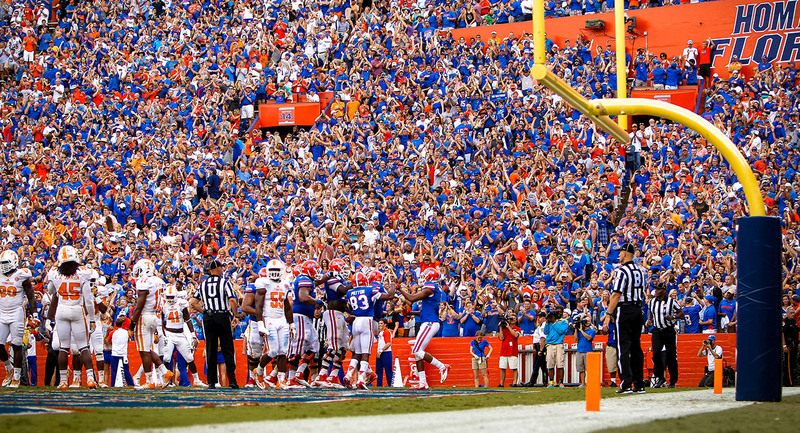 The program gives recent University of Florida graduates the opportunity to purchase and re-new season football tickets at a reduced rate so that they can afford to become Gator Boosters and spend their Saturdays in The Swamp. The eligibility requirements for the program are listed here. If you graduated from the University of Florida with a Bachelor's, Master's, Doctoral or Professional degree between May 2014 and May 2018, you are eligible. Individuals who are eligible to purchase UF student football tickets will not be eligible for the UF Recent Grad Gator Booster program. I am graduating at the end of summer/at the end of fall. What about me? People graduating in August 2018 would be eligible to purchase tickets as long as seats are still available. Fall 2018 graduates will begin their eligibility window with the 2018 Gator Football season. When does my eligibility end? Eligibility lasts for four (4) football seasons after graduation, with the earliest eligibility beginning with May 2014 grads. If individuals decide not to purchase immediately they are still bound by the window of four years since they were awarded a degree from the University of Florida. For example, if a 2015 graduate signs up starting with the 2017 Gator football season, they will be eligible for two football seasons (2017 and 2018). For future fall graduates, eligibility will begin with the following year's football season (for example, a fall 2017 graduate's eligibility will begin with the 2018 Gator Football season). I participated last year and would like to participate again, when does the renewal process begin? If you are eligible to participate for another season, the season renewal date for 2018 begins on January 9, 2018. For the 2018 Gator Football season, the cost totals $225 per season ticket. That is $175 for the season ticket and a $50 minimum Gator Boosters contribution. 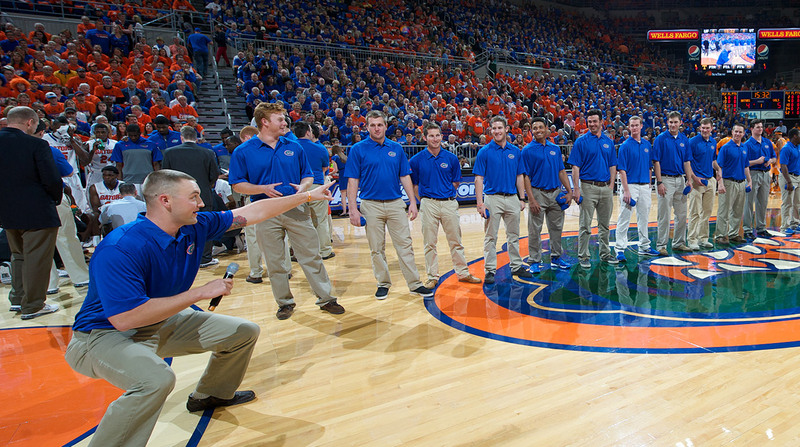 Qualifying applicants to the Gator Boosters program for recent UF grads can request up to three (3) tickets. Can I request to sit with my friends? New customers and renewing customers will be able to select their seats through our "Virtual Venue" seating process online. Renewing customers will be assigned a time (after the renewal deadline) where they can log-in and have the option to exchange their seat for any open seat in section 27. New customers will be able to see what seats are available and purchase the seats they would like. If you want to sit with friends, please make sure to select seats next to each other. Where will the tickets be located? 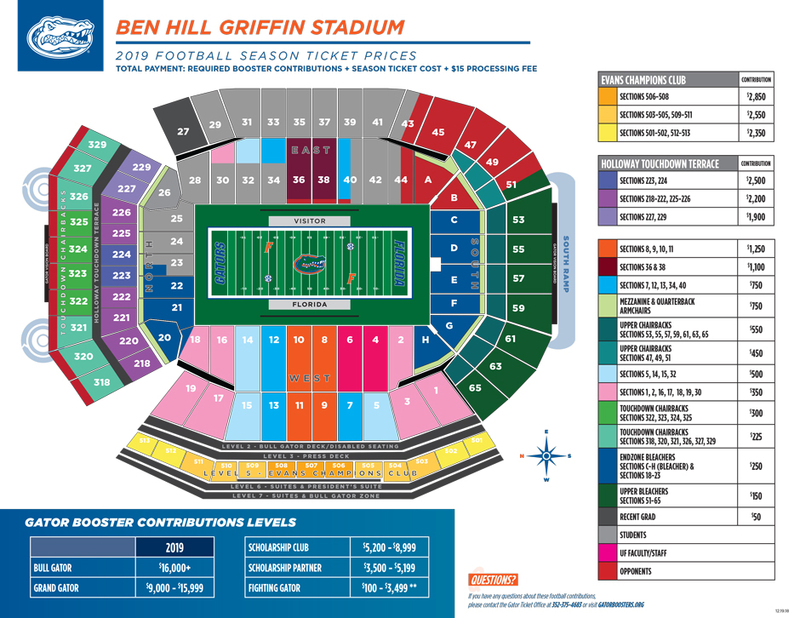 There is a limited quantity of Recent Grad tickets available to recent UF grads who join the program, and all of those tickets will be located in Section 27 of Ben Hill Griffin Stadium. This section was selected because it is adjacent to the student section so that recent grads can still feel close to the action, but the tickets are all grouped together so that the young alumni are sitting together rather than with students. Can I keep my seats if I choose to renew? Yes. 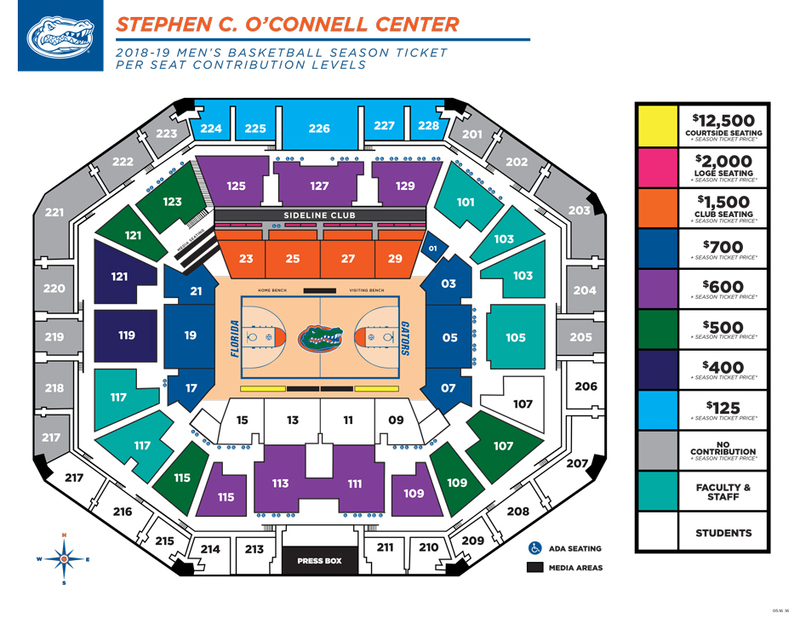 If you decide to renew your season tickets and stay in the Gator Boosters program for recent grads, then you can either (a) keep your same seats or (b) move your seats within section 27 during your appointed time for Virtual Venue. 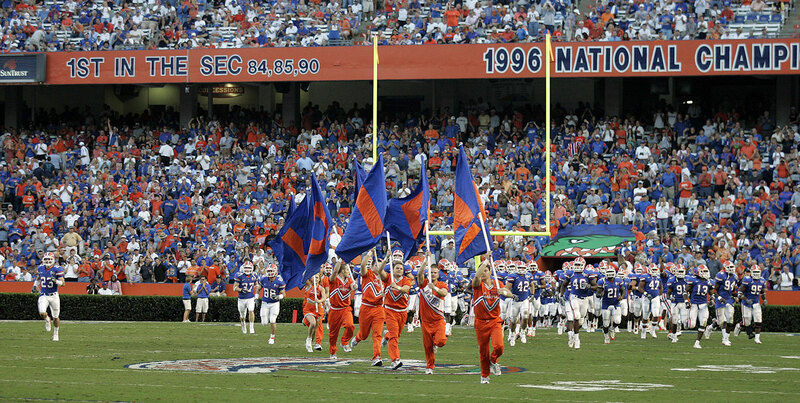 Go to www.floridagators.com/tickets and select "Manage My Account: Boosters"
Log in using the email address you had on file with the university as a student. Select "Recent Grad Football Season Ticket"
The link will NOT be available until Tuesday, January 10 at 8:30 a.m. So if I'm in this program then I'm a Gator Booster, right? Yes, this program is a contribution level within Gator Boosters. 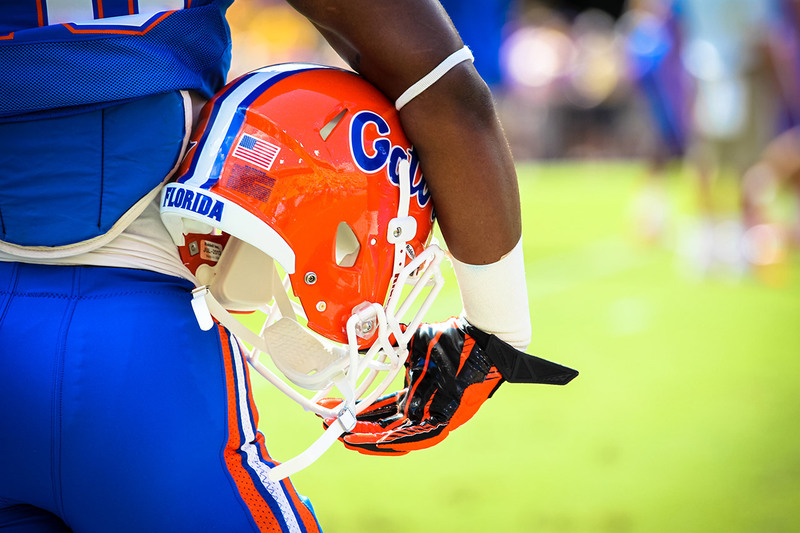 However, because the tickets and the minimum contribution level are offered at a reduced rate through this program, priority points will not be awarded until members transfer into another Gator Boosters contribution level. 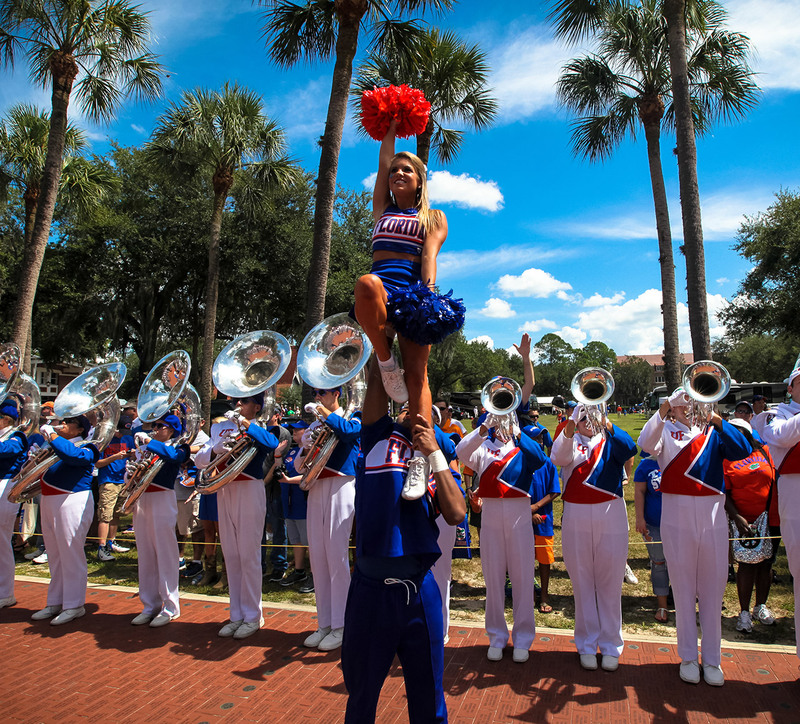 If individuals in the UF Recent Grad Program transfer into another Gator Boosters contribution level without any lapse in membership, then they will receive 30 priority points for successfully transferring into a higher Gator Boosters contribution level. This transition may be completed during the off season before the next season ticket purchase deadline. If I'm a part of the program and decide to return to Florida to pursue another degree, am I eligible to sign up for this program again? If we still have tickets available after we sell to our Gator Boosters, using their priority point system, we will sell to those in the UF Recent Grad Program. Gator Boosters, Inc. is a 501(c)(3) not for profit organization whose primary purpose is raising necessary funds for athletic scholarships and capital improvements for the Gator athletic program. Your contribution pays for the annual athletic scholarship needs of Gator student-athletes for all (21) sports. 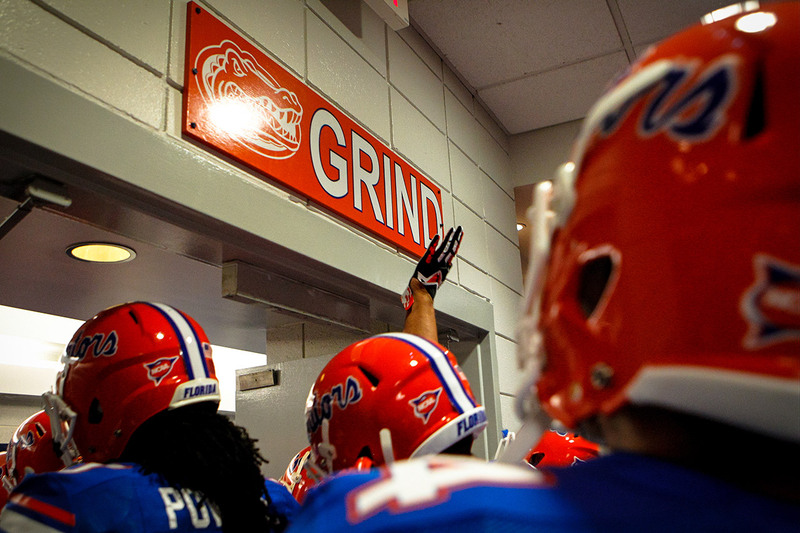 Your contribution also pays for the athletic facilities Gator student-athletes compete and train in. Ticket orders are currently online HERE and renewals are typically mailed out in May. If you would like to receive this mailing, please call the Gator Ticket Office at 352-375-4683. 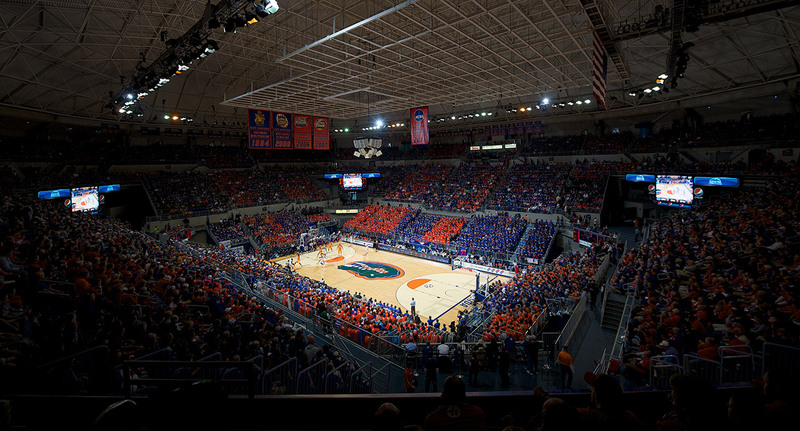 Season Tickets are assigned based on the Gator Booster Loyalty Point System, starting with the '06 Club level, Starting Five Club, 3-Point Club, etc. ; therefore, your chances for obtaining tickets, or improvement into a more desired section, are increased when contributing at a higher level. Orders for additional seats are not guaranteed and will be filled based on availability using the Gator Booster Loyalty Point System. All ticket and booster contributions will be completely refunded if there are no seats available in the arena. Gator Boosters may reclaim their seats each year provided that their ticket order is received and the contribution for his/her required contribution is paid by the deadline. If you previously obtained seats or seat improvement through a specific contribution level (e.g. 3-Point Club), that contribution level must be maintained to reclaim the same seats each subsequent year. 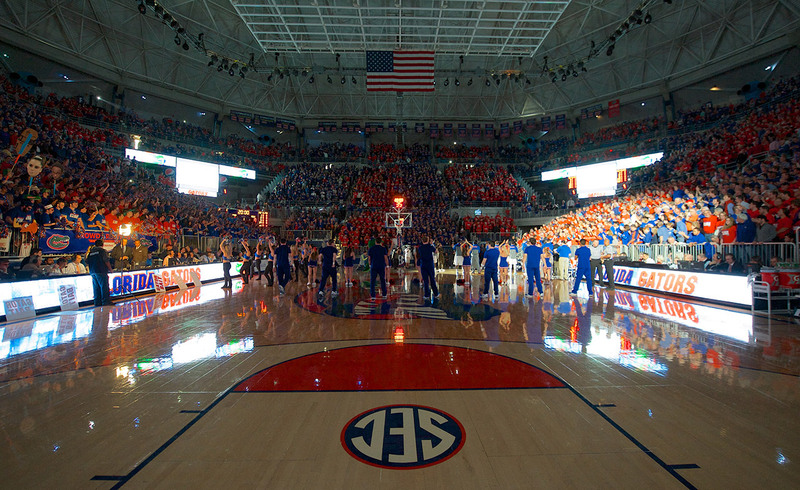 Gator Booster parking inside the O’Connell Center lot requires a contribution of the 3-Point Club ($2,400) or higher. Gator Boosters uses the Loyalty Point System to prioritize between donors who are in the same contribution level when assigning seat assignment appointment times. These appointment times will be allocated beginning in late-July or early-August and based first in order of contribution level, and then by donor rank within that level. Thus, a $6,500 Starting Five member would be assigned before a $2,400 3-Point Club member. If you are looking to relocate or upgrade your seats during your appointment time, our new online software will allow you to make your selection from home when you log into your account.